Time was when Calcutta (later renamed Kolkata) in India’s eastern state of West Bengal was home to a bustling number of Chinese. They were shoe-makers, tanners, restaurateurs, hair-dressers or dry-cleaners. 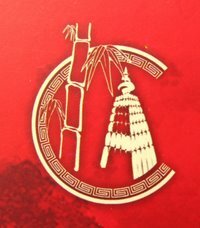 In the 1950s and 1960s, Calcuttans swore by the Chinese expertise. When they needed attention for their teeth, they chose a Chinese dentist, not an Indian. When shopping for a pair of footwear, they walked into the city’s Bentinck Street where tens of Chinese shoe shops lined the pavement. Chinese were the best hair-dressers at a time when this art was not known at all to Indians. They cleaned your suits impeccably. And they sold yummy food in restaurants in the city’s plus downtown, Chowringhee and Park Street. Or the food could always be had in Chinatown — the only such place in all of India — where fat mummies sold hot momos and noodles, pickled olives and smoked pork in ‘mummies kitchens’. There were several of these and one could see the richest of Calcuttans in the swankiest of cars stop by for mummies’ goodies. These were clean, tasty and inexpensive. Sadly, all this changed the day the Chinese army invaded in October 1962. The immediate provocation was a border dispute between the two countries, but one should not forget that Beijing was already livid because New Delhi had granted asylum to Tibet’s spiritual head, Dalai Lama — who escaped into India in 1959 after his country had been overrun by the Chinese. The 1962 war signalled the start of hostility towards Calcutta’s Chinese — an additionally contributing factor being the then Indian prime minister, Jawaharlal Nehru’s, dejection and disappointment over Beijing’s aggression. Only some time before 1962, Chinese Premiere Zhou Enlai had promised Nehru peaceful coexistence — which Indians had hailed as ‘Indi-Chini bhai bhai’ (Indian and China are brothers). 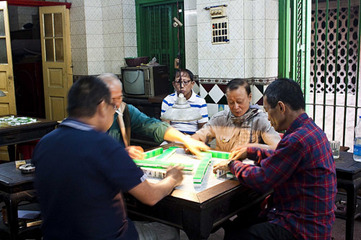 That October, dozens of Chinese lost their jobs at the Calcutta Port, dozens of them found themselves without a livelihood elsewhere in the city. Nothing could have been more bitter than this for a people who were loved by the local population and who had intermingled with Indians in a wonderful sort of way. 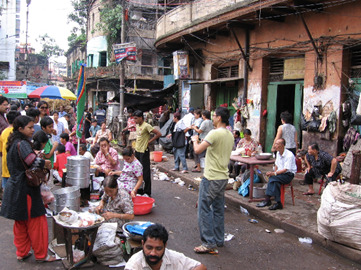 Calcutta, which was home to 30,000 ethnic Chinese in 1962, has just about 3,000 today. About 7,000 are scattered in other parts of India. Although Chinese cuisine continues to appeal — albeit in a highly Indianised flavor and taste — the dry-cleaners, the shoe-makers, the dentists and the tanners have all but gone. Of the 3,000, some were born in Calcutta between 1947, when India won its independence (from Britain), and 1950, when the country got its Constitution and became a Republic. These Chinese — close to 200 — are not welcome in China. And they are unwanted in India and are stateless today. They do have a registration certificate, which allows them to stay in India, but it has to be renewed every year. And what is still worse, since last year these stateless Chinese have to get a letter from their landlords that needs to be filed with the police. These men and women are old and infirm, even poor, and they have no choice but to suffer the humility and harassment from an unfeeling administration and a local population which does not care about them any more. 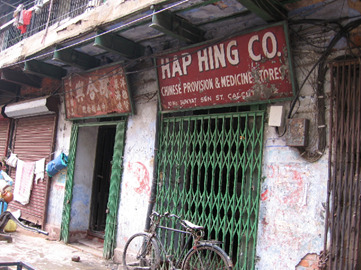 The terrible plight of these Kolkata Chinese is all the more glaring because the millions of Bengalis from the erstwhile East Pakistan (now Bangladesh, and which was part of Pakistan before the 1971 split) who arrived in India in the 1940s were granted registration certificates, which later enabled them to become Indian citizens. And these Bengalis (who speak the Bengali language, which is also what people in West Bengal converse in) were not even born in India — unlike the Chinese of Kolkata. Obviously, a deep-rooted prejudice and even hatred exist towards the community. 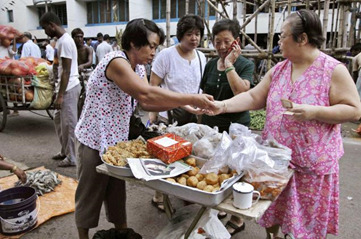 Ironic as it may appear, these Chinese men and women ought have been Indian citizens, says Bean Ching Law, president of the Chinese-Indian Association, over the telephone from Kolkata. Or, so say the Articles in Part II of the Indian Constitution. But as one intelligence office quipped, maybe there is a separate provision governing the Chinese in India following the 1962 conflict. We do not know. With virtually no rights, these stateless Chinese lead depressing lives. They are sometimes viewed as spies and police question them even in the middle of the night. But Law hopes things will improve, and he signs off with a request: “Please call us Chinese Indians — like, for instance Afro-Americans. We are Indians of Chinese descent. We were born in India. So we are not Indian Chinese”. A sense of desperation is clearly discernible in his voice. However, given the big challenges India faces today, these stateless men of Kolkata may not find it easy to get their voice across to New Delhi . Gautaman Bhaskaran is an author, commentator and movie critic, who has worked with The Statesman in Kolkata and The Hindu in Chennai for 35 years. He now writes for the Hindustan Times, the Gulf Times and The Seoul Times.